1/1/2017 City of San Diego Minimum Wage and Sick Leave Changes Effective January 1, 2017, businesses operating in the City of San Diego (see map below) must increase minimum wage from $10.50 to $11.50. This applies to all businesses operating within the City boundaries regardless of number of employees. Please use this map to determine […] The post 1/1/2017 City of San Diego Minimum Wage and Sick Leave Changes appeared first on California HR Services. Effective January 1, 2017, businesses operating in the City of San Diego (see map below) must increase minimum wage from $10.50 to $11.50. This applies to all businesses operating within the City boundaries regardless of number of employees. Please use this map to determine if this regulation applies to your business. In addition, employers operating in the City of San Diego must either provide all part time and full time employees 40 hours of earned sick leave at the beginning of each year or may accrue one (1) hour of sick time for every thirty (30) hours of work. Employers may cap employees’ total sick time accrual at 80 hours. Companies may accrue the time or fill employee banks at the beginning of each year to avoid miscalculations but can manage sick time off for new employees by allowing them to use accrued sick time after the ninety (90) days on the job. 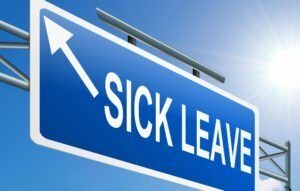 Employees are entitled to use earned sick time for a variety of reasons described in Section 39.0106(a) of the Ordinance, which includes taking time off for an employee’s own medical condition or illness or for caring for ill family members. Please refer to the link below for more detailed information. The post 1/1/2017 City of San Diego Minimum Wage and Sick Leave Changes appeared first on California HR Services .